That's what you'll find inside this piece in Reformy Chalkbeat. Evidently the UFT is going to ask for parental leave and money. Also, they did a survey. 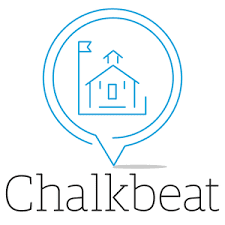 We don't know the results of the survey, and neither does Reformy Chalkbeat. Once again, if it isn't about Eva Moskowitz or E4E, Reformy Chalkbeat can't be bothered to seek out even the most basic information. That's what passes for journalism in these United States, and that's why Donald Trump is President. If I were Bill Gates, I'd ask for my support money back. Except if I were Bill Gates I'd probably be happy to know every time Eva sneezed or E4E collected 100 signatures demanding more work for less pay. As a living, breathing, NYC schoolteacher, I hope for better. Actually the city tabloids often offer that. It's hard to come up with something to say each and every day, I guess. Still, if I can do it with no budget and no staff, you'd think Reformy Chalkbeat could get someone to do it for money.